This was the start of me reworking the in-game computers to use Unity's new GUI system. This has a number of advantages, from creating more animated displays to more intuitive controls. While I'm not sure if the burger building computer will make its way into the final game, it did start the groundwork for the new ordering computer. As you can see, the restaurant has had a makeover. The sink has been moved to a more centralised position, and there is now a more direct view into the seating areas from the kitchen. This allows players to be more aware of their surroundings, and later on I will introduce a more interesting dish washing / cleaning system to the game. It's been a while since an update, so I thought I'd throw this out for y'all to play with! 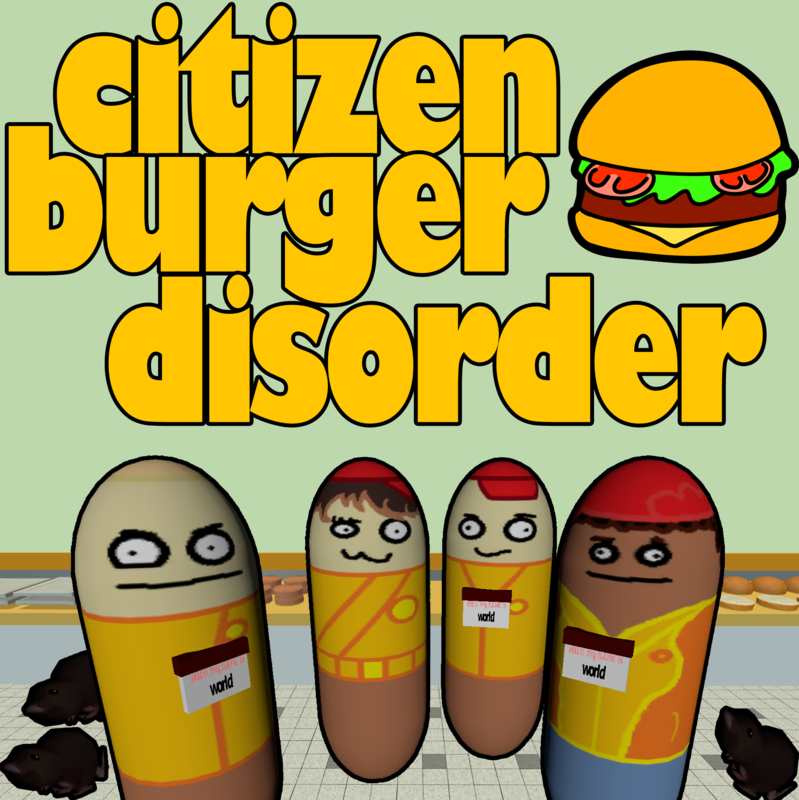 I've put Citizen Burger Disorder up on Steam Greenlight. This is the first step in a long path of future steps I'll take with CBD, and it's pretty exciting to say the least. Head over to the Greenlight Page to vote 'Yes', and you'll be helping Citizen Burger Disorder make its way into the hands of way more people when I've finished making the game. Citizen Burger Disorder needs your support!